In 2013, the Pearson Residents’ Redevelopment Group (PRRG) organized focus groups to ensure that residents’ voices are heard in the planning. 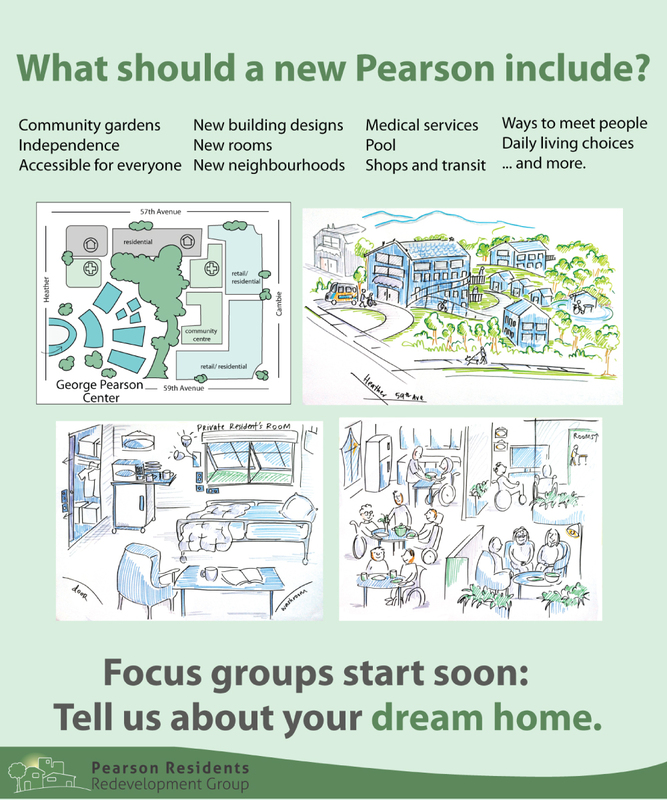 PRRG asked residents, what should a new Pearson include? PRRG worked on planning the focus groups since March. PRRG decided that visuals would help structure focus groups. They contracted artist Sam Bradd and together they developed a series of 11 drawings based on PRRG members’ writings. These drawings begin a conversation about what a new Pearson could include. Read more about the focus groups process on our blog here.